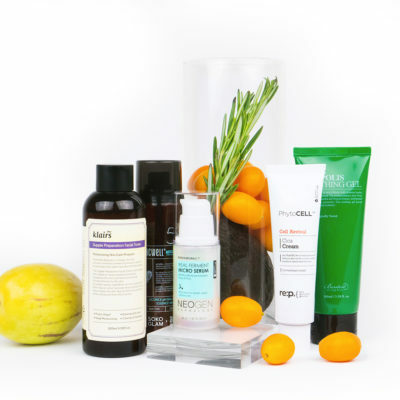 Shopping for a simple acne treatment? Look no further than a pimple patch. With so many available on shelves, there’s an option for every type of breakout. 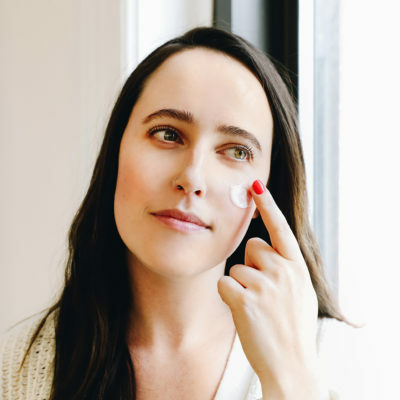 Keep reading to learn about our favorites and how to choose the perfect pimple patch for you. To me, pimple patches are a modern miracle. If you haven’t tried one yet, you’re seriously missing out. 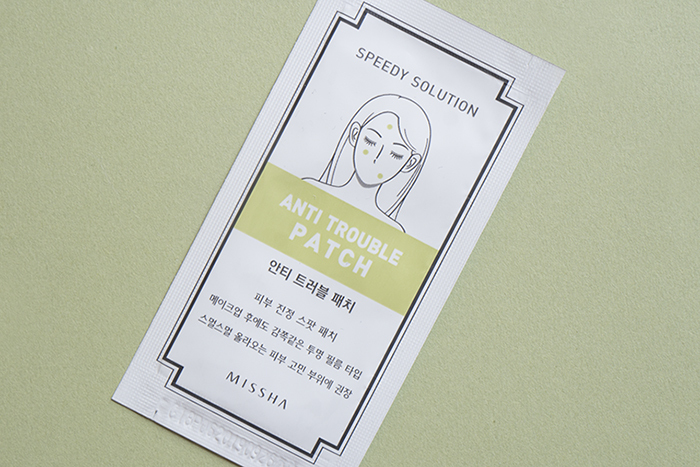 A pimple patch is a small, usually clear sticker that helps treat acne in a gentle and effective way. 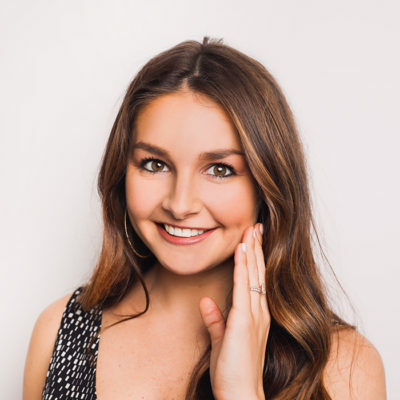 It can be worn anywhere on your face and works to protect a pimple like a wound, keeping it away from dirt, bacteria, and even your grubby little fingers if you’re an avid pimple-picker like me. Each patch is infused with acne-fighting ingredients to help draw the sebum from your pores over six-plus hours of wear (you can wear them during the day or at night while you’re asleep). Trust me, there’s truly nothing more satisfying than peeling one off of your face and seeing all of the gunk and goo that was extracted from your zit onto the back of the sticker. Here’s when I recommend using one: When your pimple is almost at peak whitehead stage and you want all that pus to come to the surface, when you’re trying to get an open pimple wound to completely drain, when you’ve just popped a pimple and want it to heal without spreading the infection or when you need to stop yourself from picking at your skin. 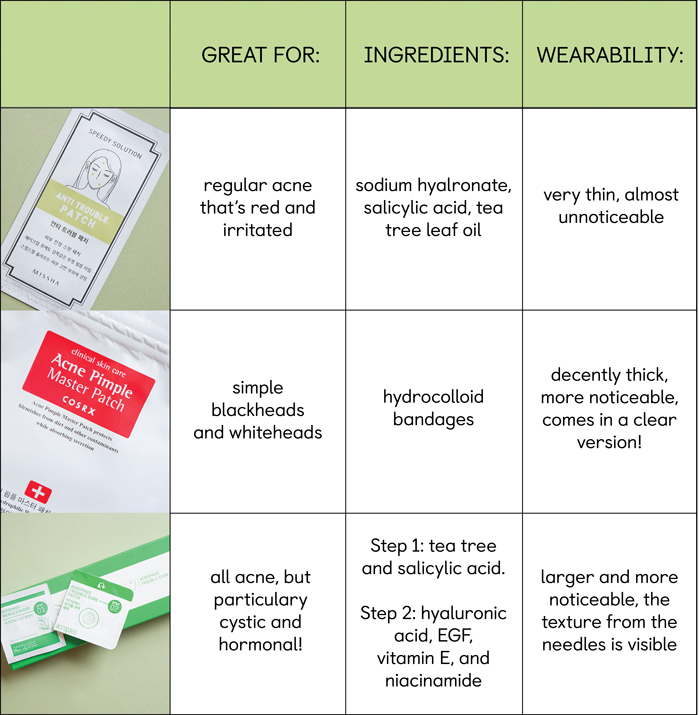 While these stickers couldn’t be simpler to use, choosing the best one for your acne concerns does require some thought. Below, I’ve detailed my three favorite pimple patches, how to use them, and what kind of acne they work best on. 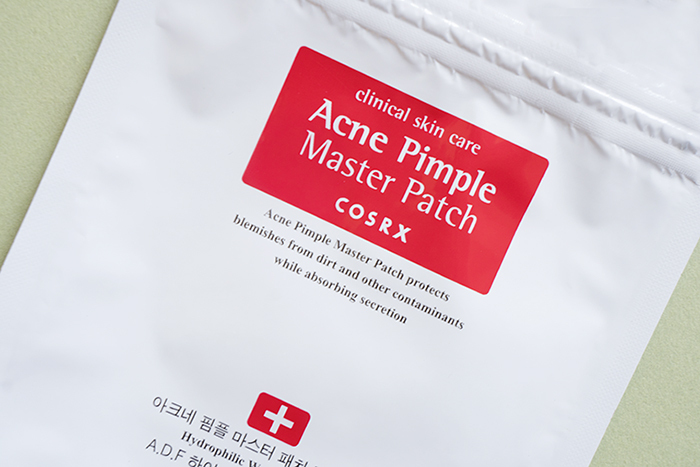 Even if you’re new to the world of pimple patches, you probably know about the COSRX Acne Pimple Master Patch. 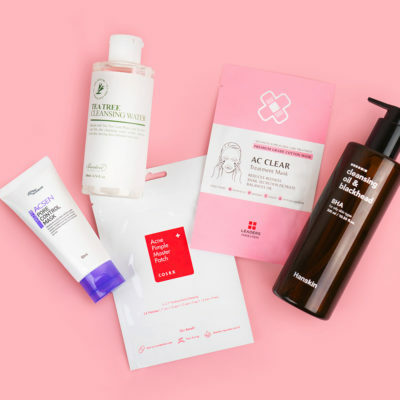 These are the OG K-beauty pimple patch, and they’re totally worth the hype. These patches are made from hydrocolloid (think of the hydrocolloid dressing used in hospitals to encourage healing and prevent infection) and come in three different sizes that are essentially large, medium, and small. For $5.00, you get 24 of them, which, depending on how often you break out, is pretty reasonable. 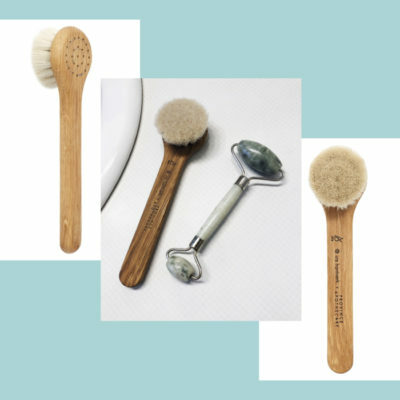 Because they draw all the gunk to the surface, I recommend using them on whiteheads to speed up the entire process and flatten the zit faster or to disinfect and reduce the inflammation if you’ve already popped the sucker on your own. Overall, they’re not the most subtle-looking because of how thick the hydrocolloid is (think of a hydrogel sheet mask), but they get the job done. 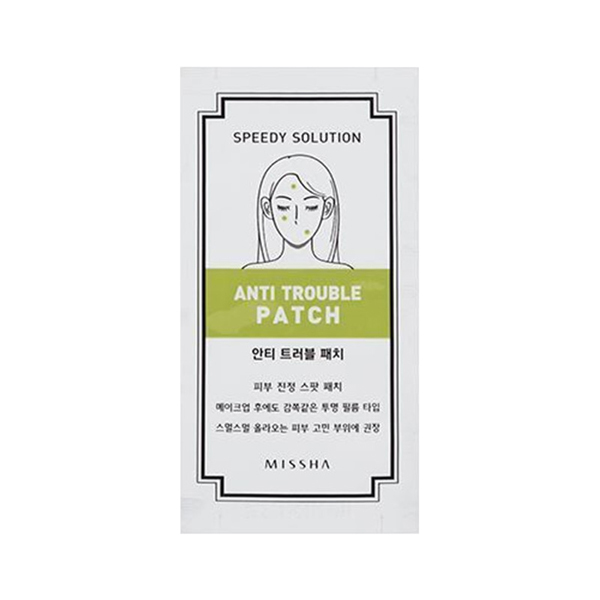 The Missha Speedy Solution Anti Trouble Patch are my go-to choice for wear when I have a huge pimple that I want to treat during the daytime at work. 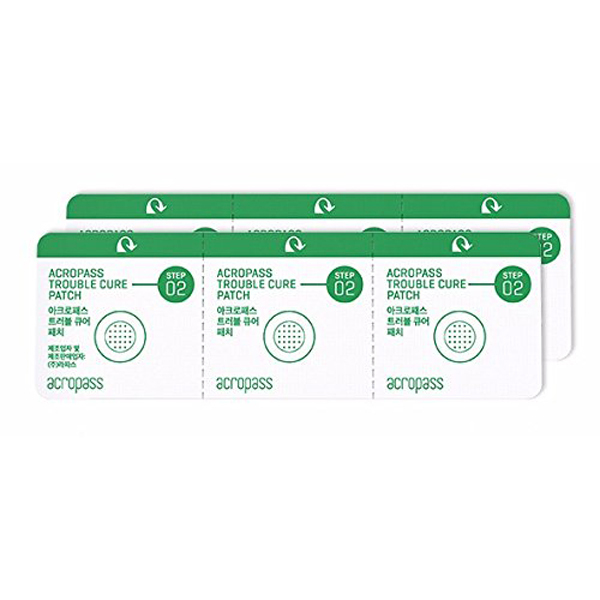 They’re thinner and clearer than almost all other forms of pimple patches I’ve tried, and because they’re so thin, they also adhere easily to the skin. While they don’t have the same protective qualities of the COSRX ones, they do have great anti-inflammatory ingredients like salicylic acid and tea tree oil to help reduce redness and speed up the recovery process. I prefer to use them for regular acne that’s red and irritated. And because a $5.00 box comes with 8 sheets of 12 (that’s 96 stickers! ), they’ll last you a long time. 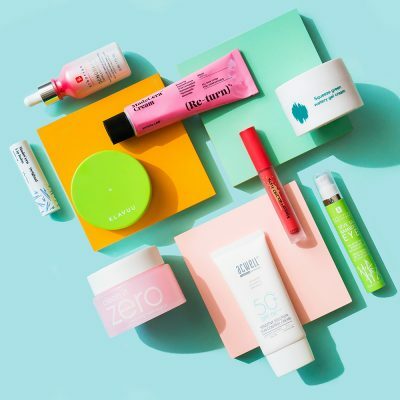 Welcome to the future of skin care. 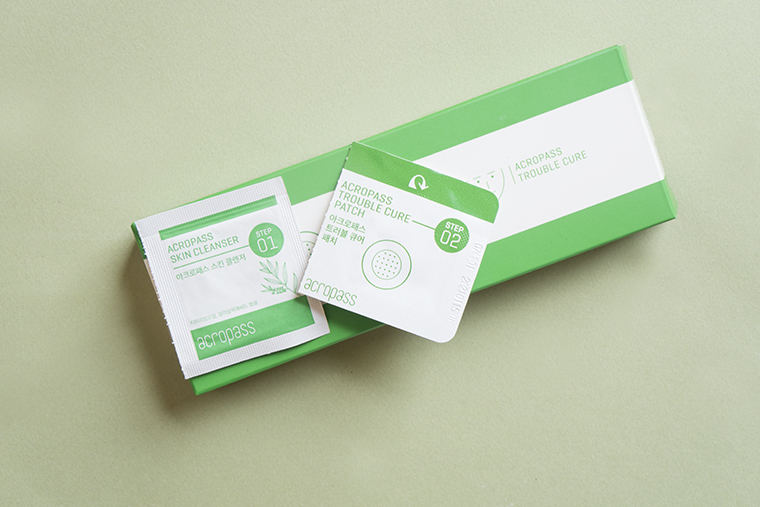 Pimple patches were already revolutionary for me because they didn’t attack and dry out the skin like most other acne treatments, but the Acropass Trouble Cure takes the concept to the next level by healing acne beneath the skin. These patches are affixed with tiny microneedles (similar to a derma roller) made from a crystallized serum (ingredients include hyaluronic acid to hydrate and niacinamide to treat and clear) shaped into a needle-like structure. These needles are super tiny (1/3 the thickness of hair) so you don’t have to worry about any pain from incision, yet mighty. The serum punctures and dissolves into your skin and is sent directly to where its needed the most. The patches come with cleansing swabs meant to prep the skin before application. The cleanser is packed with great acne-fighting ingredients like tea tree oil and salicylic acid. Not only does the system help heal regular acne quickly and reduce scarring, it also works on hormonal and cystic acne! If you’re looking for subtlety then this will not be your top choice. The stickers are definitely larger than the Missha or COSRX ones and because you can see the texture from the needles, they look like a bandage. However, they’re perfect for nighttime wear. Acropass recommends leaving them on for a minimum of two hours, but I’d still suggest the normal 6 to 12. + Which one are you most excited to try? Let us know in the comments!